Last week, Google shook things up by increasing the width of the search results, and increasing the length of the title tags showing in the search results with it. 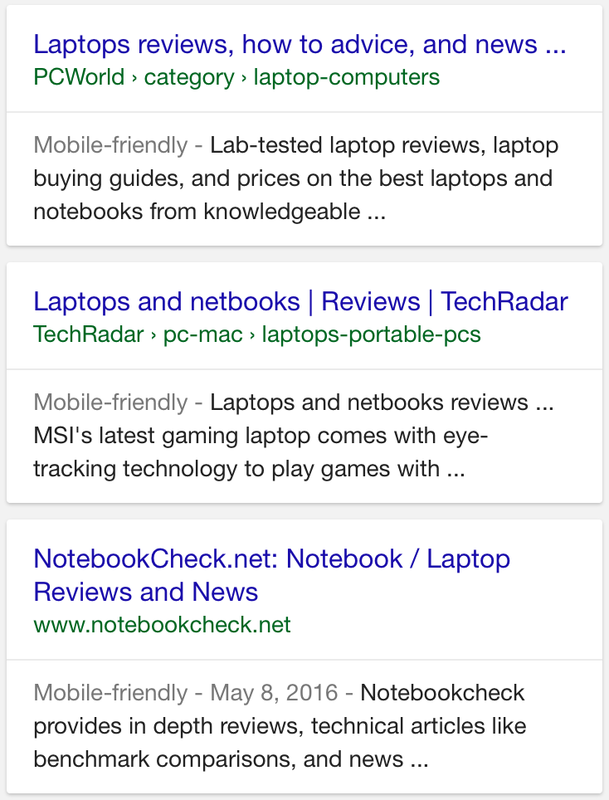 Google has also expanded the increased title tags to the mobile search results as well, and they have been expanded significantly more than in desktop. 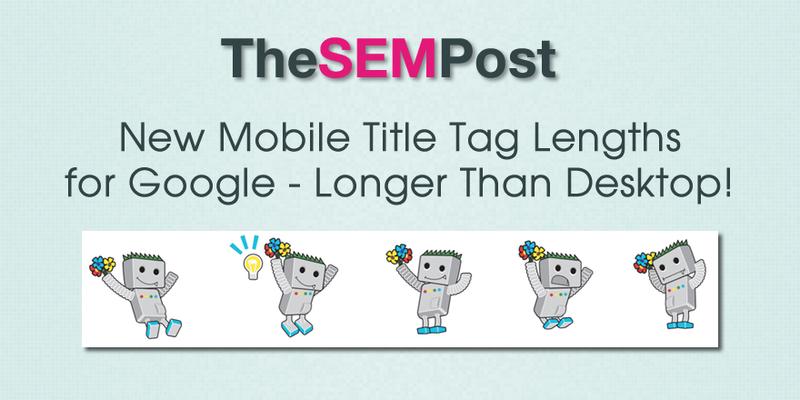 Google has now increased the maximum length of the mobile title tag to about 78 characters. This is an extra 8 characters – or a keyword or two – from the new length of the desktop title tag, which increased to about 70 characters this week. Here is an example in the mobile search results of longer title tags. What is especially notable is that the first example is a product listing, and those extra keywords can be pretty crucial when attracting clickthroughs with the potential for a sale. The Amazon example is 78 characters long before Google truncates it with (…). Here is the desktop version, this with 60 displayed characters, as there would not be enough room to include both the next keyword and ellipses before running out of space in the line, as well as the fact Google uses pixel count for the width, while SEOs tend to use character count for approximation. Something that is notable is that the length of title tags also makes a difference in the amount of real estate a search result takes up on the page. 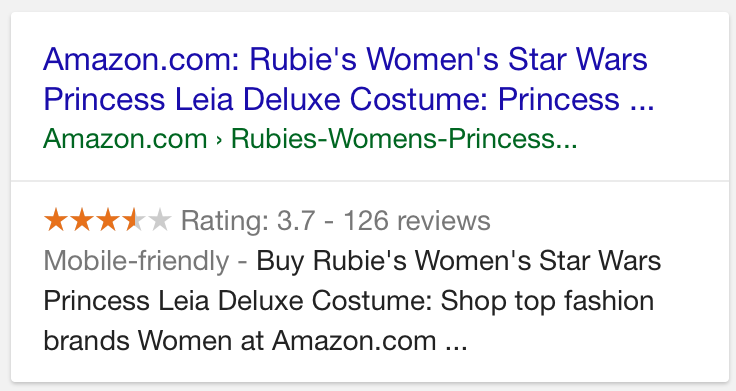 The top two results in this example had shorter title tags (less than 45 characters) while the third used a longer title tag. Will the two significantly different title tag lengths impact how SEOs decide to implement mobile sites? With such different title tag lengths being used for desktop and mobile, it might encourage some to go with a separate mobile implementation (ie. m.example.com) rather than responsive design, which is generally the go to option by many site owners. With mobile getting more traffic than desktop, some might think it is worth optimizing title tags for mobile, and just letting the desktop title tags be truncated by Google with (…). Before doing this, site owners should definitely look at their site’s traffic, and also from an ROI perspective. But Google adding those extra characters to the mobile title tags definitely will make it interesting – as well as a strategic – decision for site owners to make. Optimize for the 70 character desktop title or the 78 character mobile title? The safe option would be using the 70 character option to prevent truncating, but for sites with the majority of traffic on mobile, the smarter decision might be going 78 characters instead. Also, remember Google does use pixel length, so depending on character choice, the actual length could vary. But 78 characters seems pretty standard without truncating on mobile.